Sam Stinnett was born and raised in Austin, Texas. She initially attended Colorado State University (CSU) in Fort Collins but went on to earn a Bachelor of Arts in Journalism at Texas State University in San Marcos. Sam was later recruited to work for State Senator Craig Estes (Wichita Falls). Working for Senator Estes, Sam filled various administrative roles, including office management and scheduling, which later led to her role in communications and public policy. 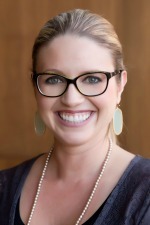 After her time with JHL Company, Sam was hired to work for State Senator Joan Huffman (Houston). Sam served as Legislative Director and was responsible for analyzing policy related to several areas, including health and human services, economic development and criminal justice. Among many accomplishments, Sam was instrumental in helping Senator Huffman secure $10 million for the Harris County Jail Diversion Pilot Program; the first of its kind. Recently, Sam received her Certified Association Executive (CAE) credential, the marker of a committed association professional who has demonstrated the wide range of knowledge essential to manage an association in today’s challenging environment. In her spare time, Sam enjoys spending time with her family as she and her husband welcomed Sonny Wayne Stinnett in January 2018. Sam enjoys finding ways to show support for animal rescue and other causes in her spare time. Sam has been enjoying her time with the Texas Association of Nurse Anesthetists and is excited about what the future holds!